We are super happy to have Alex as our speaker for this month’s theme “Play”. In his talk, he will give us a some insights into game design and development, and how games and game mechanics can be prototyped. 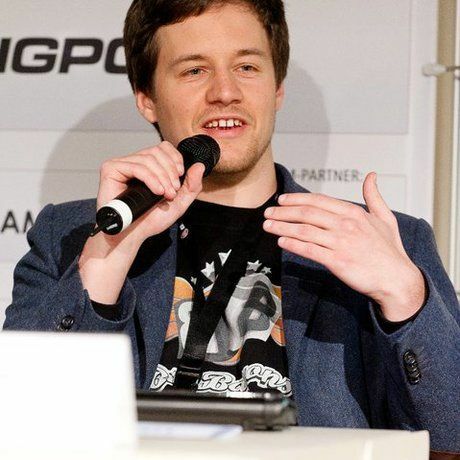 Alexander Zacherl is a game designer and entrepreneur. He was once 100% sure that he was going to start a communication agency after graduation. So in grade 11 he decided to study Media Management — and he did. But then he started working in the industry and found out that it was actually less fun than he had imagined. So he pivoted and started an independent game development studio instead. Over the last four years he has both launched “Games of the Week” on the AppStore and co-created “Games that no one will ever play” during game jams and game-dev contests. He got side-tracked a lot during these times: By teaching game design at local universities. By giving talks at developer conferences. By running multiple game-development events (GameCamp, Global Game Jam, Game Design Dojo, Unity Usergroup, Game Audio Forum …). frog’s building is in the back, just pass by the Tchibo store, take a right and then a left to get to the glass entrance.